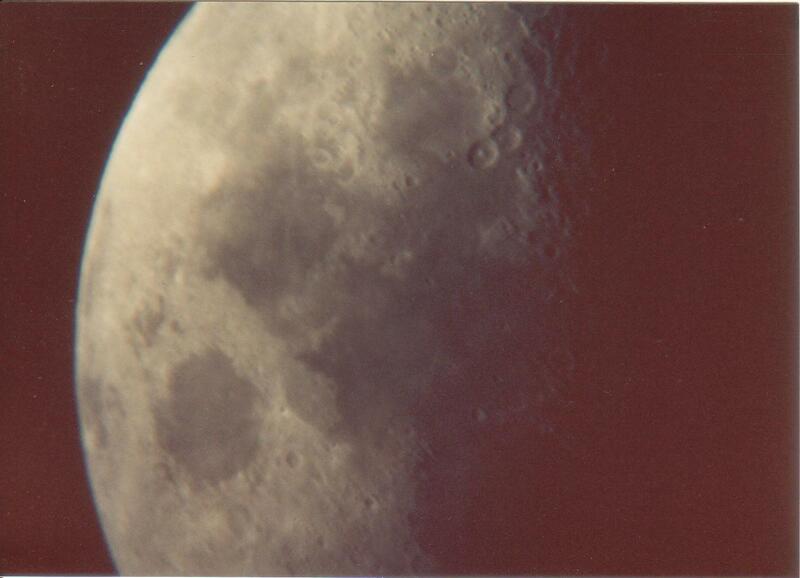 I was first introduced to observational astronomy in eighth grade science class, 1988-89. 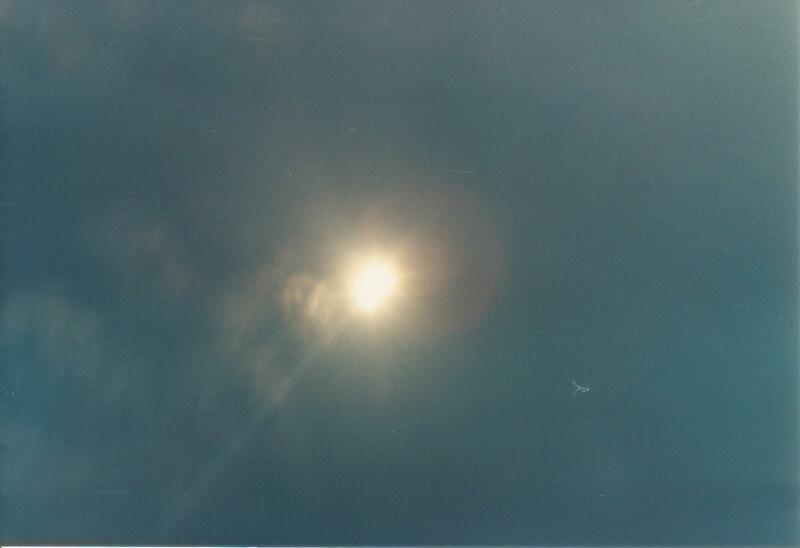 These are some of my first attempts to photograph the sky, by pointing a 35mm camera at various interesting targets. 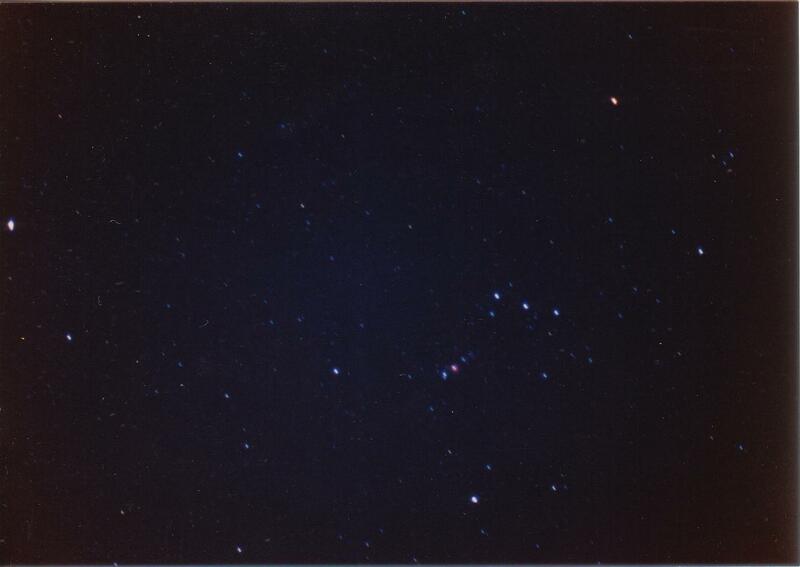 I was especially thrilled to see the pink color of the Orion Nebula. The Pleiades picture was taken with black and white film. 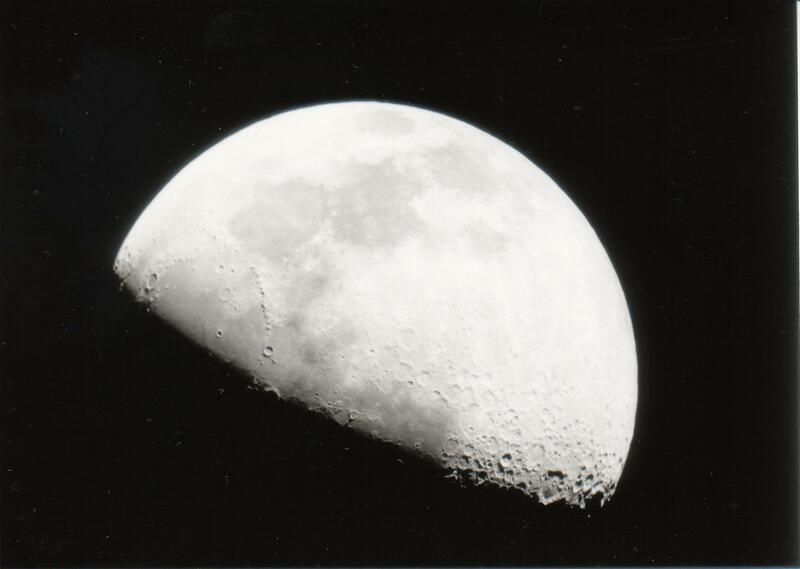 The picture on the left was taken by pointing the camera through a telescope eyepiece, and used black and white film. The middle picture used color film. The picture on the right shows how a long exposure under moonlight creates something that resembles a daytime scene, at first glance. 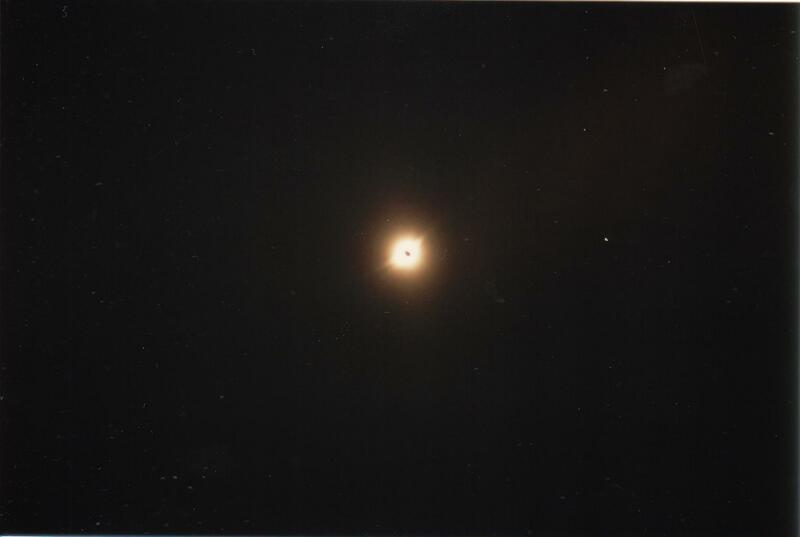 My family went to Mexico to see the total solar eclipse of 1991. We were mainly focused on watching it with our eyes, either directly or through binocular or a finderscope that we brought. It was quite spectacular, with the long streaming ribbons of the corona, and several bright pink prominences protruding past the moon's edge. We tried also to capture it on film, not very successfully, but the results are shown here. 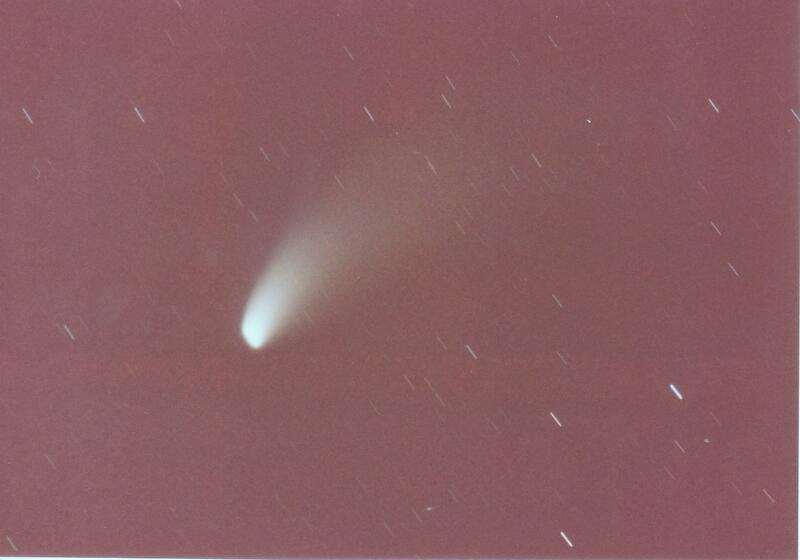 I was fortunate to be at home in Arizona on spring break when comet Hyakutake passed by. The top four photos were taken with fast color film (Kodak Royal Gold 1000), and the bottom four with slower (ASA 200) film. 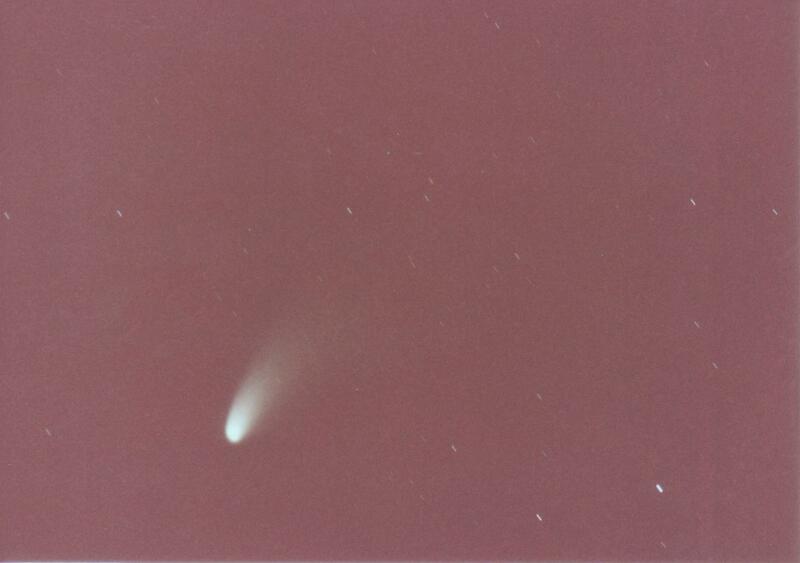 Because the comet was near the north celestial pole, it was possible to take fairly long exposures without tracking and still get decent results. 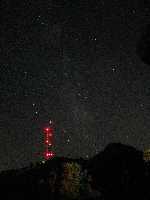 The first six images were taken at a semi-dark sky location somewhere south of Phoenix, I believe, while the last two were taken from our house. The image at upper right (aiming the camera through the telescope) is blurred because there was no tracking. 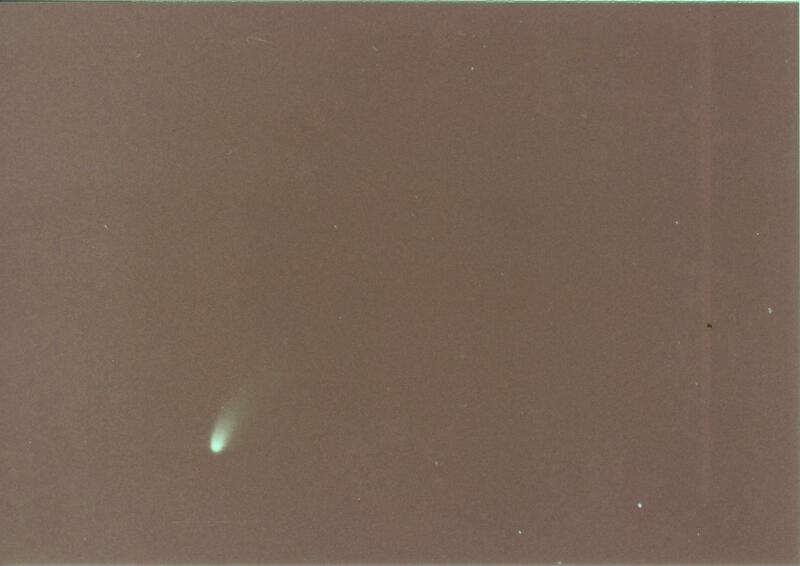 Tracking would have been difficult, since the comet was moving quickly relative to the background stars; in the long exposure at lower right it is clearly moving in a different direction from the star trails. The first picture was taken at our house in Scottsdale. The others were taken near East End in the McDowell Mountains. Unfortunately, the prints from this set had color problems, for unknown reasons. 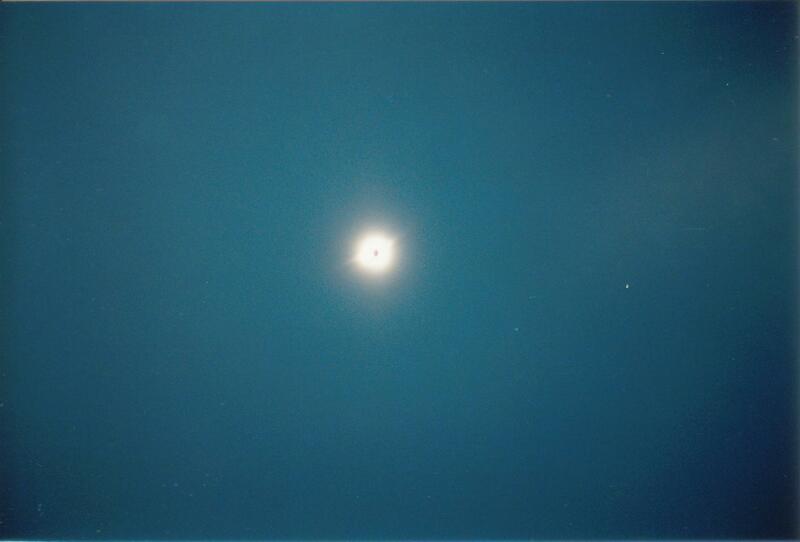 I adjusted the color somewhat in the scanned images to make the sky less red. 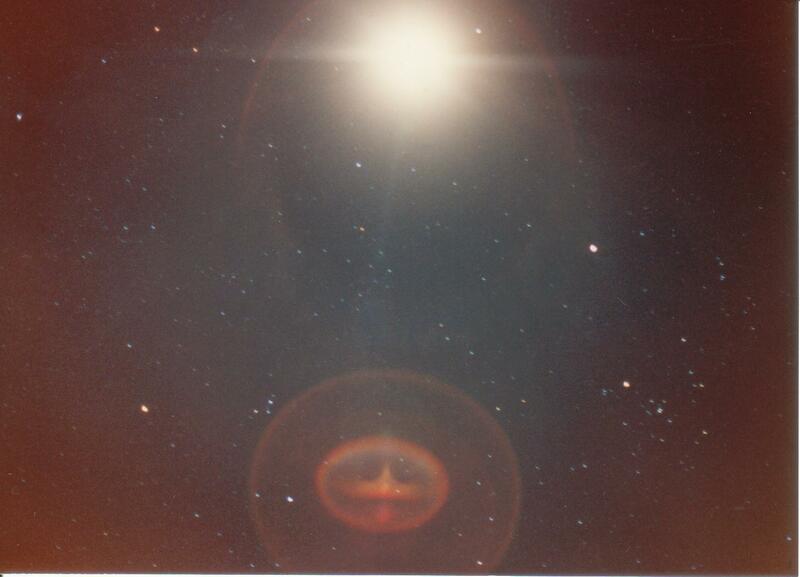 These are some of our first astrophotos taken with a digital camera. 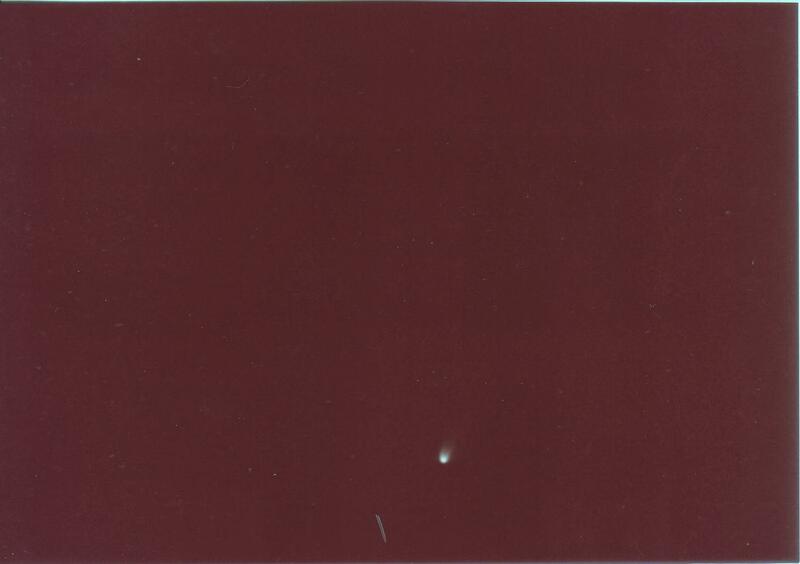 The picture on the left was taken by aiming the camera directly at the comet, while the others were taken by pointing the camera throught the telescope eyepiece.